In Viet Nam, injury is continuing to be the leading cause of mortality ahead of circulatory, infectious and parasitic diseases. There are approximately 40 deaths and 70 disabling injuries each day in Viet Nam. Many efforts have been made but injury still creating huge burden to the population of Viet Nam and it affects the young disproportionately. Nowadays, not only injury but non-communicable diseases (NCDs) also disproportionately affect lows – and middle – income countries where nearly three quarters of NCD deaths – 28 million – occur. The Center for Injury Policy and Prevention Research (CIPPR) is a research center of the Hanoi University of Public Health based in Hanoi, Vietnam. The CIPPR was established in 2002, and the Center now has become a self – sustain and center of excellent in the area of injury research, training and support for policy development in Viet Nam. And to respond the rising tide of Non – communicable diseases, we have partnered to pilot innovative health service delivery models to address NCDs in underserved communities. To create a learning research and training center for the promotion of community – faculty – student collaboration on injury related issues. To be a leading entity to provide training, knowledge and consulting services in the field of injury, NCDs prevention and intervention for national, local and international institutions in Viet Nam and other countries in the region. 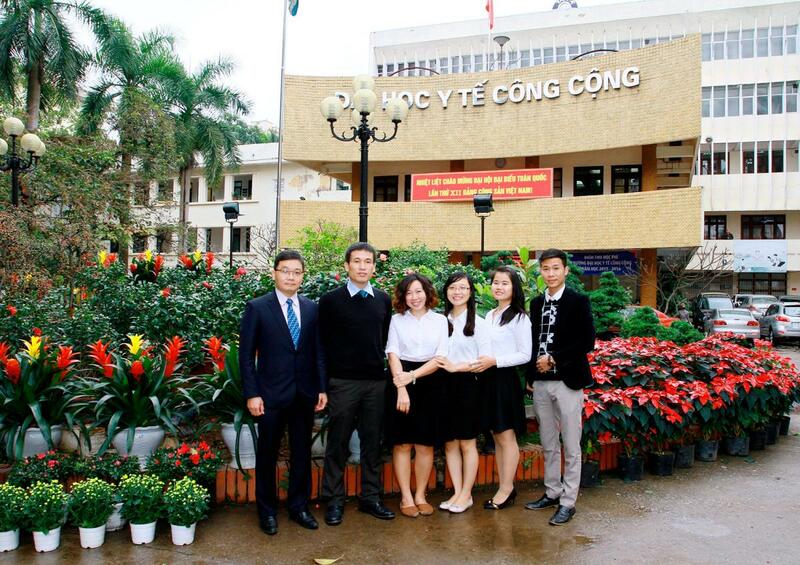 To build the field of injury, NCDs prevention and control in Viet Nam through a combination of multidisciplinary public health approaches to research, intervention, and evaluation as well as through the training of the next generation of researchers and practitioners in Viet Nam. CIPPR will work to contribute to the development injury control network in Viet Nam through training, giving students and young researchers the opportunities for professional development. Maintain and strengthen partnerships with other international organizations, academic institutions will be one of priorities of CIPPR, this would make the center having intellectual resources and the sustainable goal of center in the future.